UK’s printing industry is expected to rise by 3.2% in 2017 despite the changing media consumption habits. Which is why a boost in printing productions is needed and only a ruggedised industrial computer (IC) can help solve such case. So, if you want to make sales this year, make sure you have installed industrial PCs to optimise your printing operations. Print industry is considered as the fourth estate and technology is also moving at a rapid pace. So, even if you are at the printing industry, you need to adopt these technological advancements to prosper your business. By installing S12 ruggedised industrial computers would not only give a boost in your operations but it also provides remarkable benefits which are, absolutely, beyond your expectations. Anyway, can you imagine printing services in a more innovative way? Here, let’s take a look. 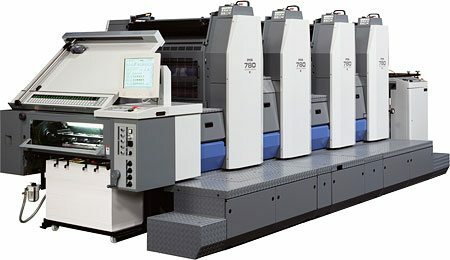 There are a wide variety of technologies used in printing services. Aside from the printing equipment, this also includes embedded panel computers. When you look into types of industrial printing processes, you would definitely give up and leave it to the experts. Much worse, you will hire a large volume of work pool just to complete printing tasks. Printing is composed of a lot of process. It does not operate in a one-man system. With a computing system, you can simultaneously monitor, login, and control the entire operations with less manpower since an S12 rugged industrial PC comes with a watchdog timer. Of course, we cannot deny the fact that a printing work station is filled with dust and other small particles. It is also susceptible to liquid spill overs such as inks and toners. Moist and heat is also visible in the area as well. But, a 12.1” industrial-grade computer is built to withstand harsh environment with extreme working temperatures. It is even rated IP68 and NEMA-sealed. Therefore, it is built to last longer providing exceptional and quality performance. Some features of industrial PCs include being powered by Intel Bay Trail with a 2.0 GHz Quadcore processor. Thus, it has the capability to store, analyse, and transmit data. Plus, you need not to acquire a backup system just to keep and monitor records. Industrial computers are also touch-enabled technological devices. Hence, it is easier and more convenient for your printing business. How Can You Acquire Your Own Industrial PC? Meeting the demands in the printing services is a challenging task. Not to mention the fact that surviving in this business requires smarter decisions as well. Even though purchasing such kind of technology is quite a huge investment, you can always ensure that you will also earn bigger profits. By acquiring one, your printing operations will improve, production is efficient, and simply blends in with the trend. So, now is the time to consider. Elevate your business and apply for a 12.1″ rugged industrial computer for your printing business.